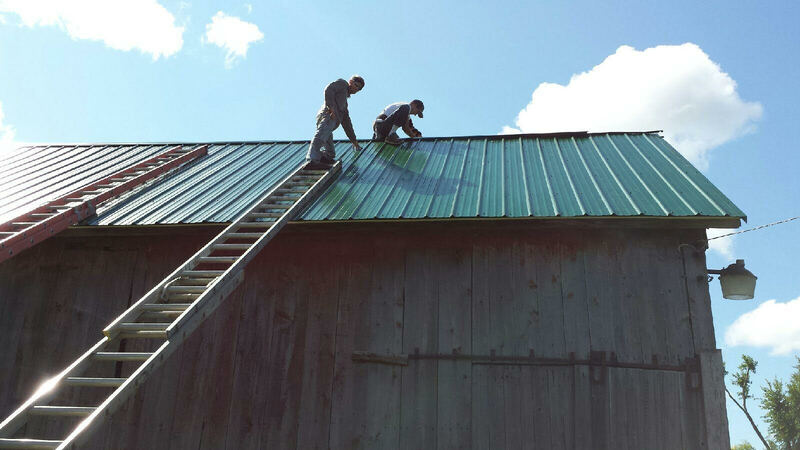 Local experienced Roofers & Sheet Metal Specialists – Fully Licensed, Bonded, and Insured. Our Company is ready to work for you, worry free. 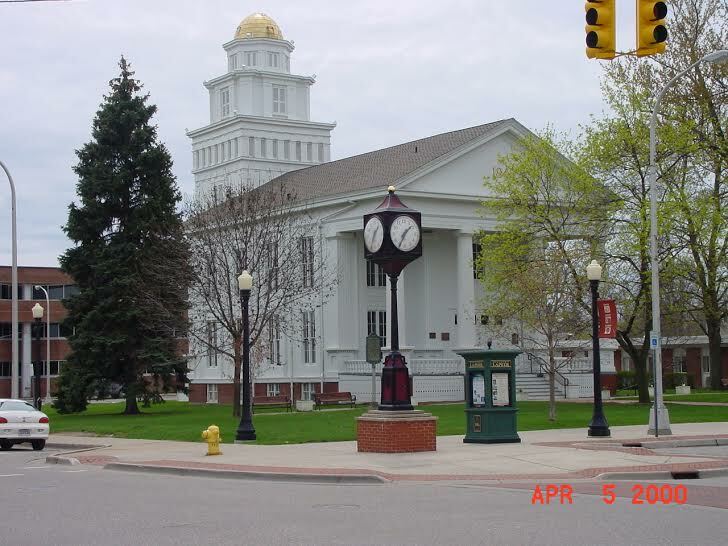 We have 35 years of experience as a Michigan roofing contractor. We specialize in both residential and commercial roofing of all types including, asphalt shingles, metal roof systems and flat roof systems. No matter what type of roof you need or are looking for we can handle the task. Call us today for a free estimate! Stratton Home Improvement and Repair LLC is a local family owned and operated business established in 1985 giving us 35 years of experience. We strive for excellence and guarantee quality by employing a highly trained “Master Crew” of workmen. We are proud to be a CertainTeed Shingle Select Roofer for over 20 years. We offer a 10 year workmanship warranty on all our work and free estimates! We offer roof repairs, snow removal, roof cleaning, emergency tarps, roof inspections, and any roofing needs to insure a lifetime of your home investment. Let Stratton Home Improvement be your one stop shop to all your roofing needs whether it is residential or commercial roofing. We also perform roof repairs, snow removal services, roof cleaning/power washing, emergency tarps, insurance work, roof inspections, and any roofing needs to protect your home investment. 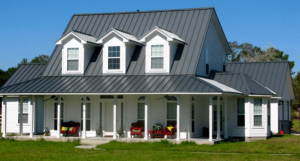 Metal roofing-standing seam, ribbed panel and metal shingles last longer and help cooling costs 10-25%. We offer snow retention systems on all metal and asphalt roofs. We also offer a 10-year warranty on the work we provide. Asphalt shingles: are one of the least expensive roofing materials, and they are available in a wide variety of colors. Asphalt shingles are commonly used on sloped roofs, single homes, and smaller residential projects just to name a few. Flat roofing or low slope roofs: come in many different kinds depending on what your roof needs. Stratton can install any of the following on residential or commercial roofs. Check for leaks before they happen: Even minor roof leaks that go unnoticed can become a big problem when a major weather event or storm hits. To detect leaks, look on interior walls and ceilings for stains and water damage that indicate a leak occurred. Also, take a flashlight into the attic during the next rainstorm and check for leaks on the underside of the roof deck and rafters. Keep nature in check: Fallen tree branches or those that scrape against a roof can cause significant damage. Cut back large branches extending over roofs, and have a professional inspect your yard for trees that should be removed altogether. Also, clean out gutters and roof valleys clogged with leaves, branches or litter. Clogs can prevent water from draining properly. Do preventive maintenance: Contact a professional roofing contractor to inspect your roof, and make needed repairs to flashing, caulking and shingles before the winter or storm season arrives. 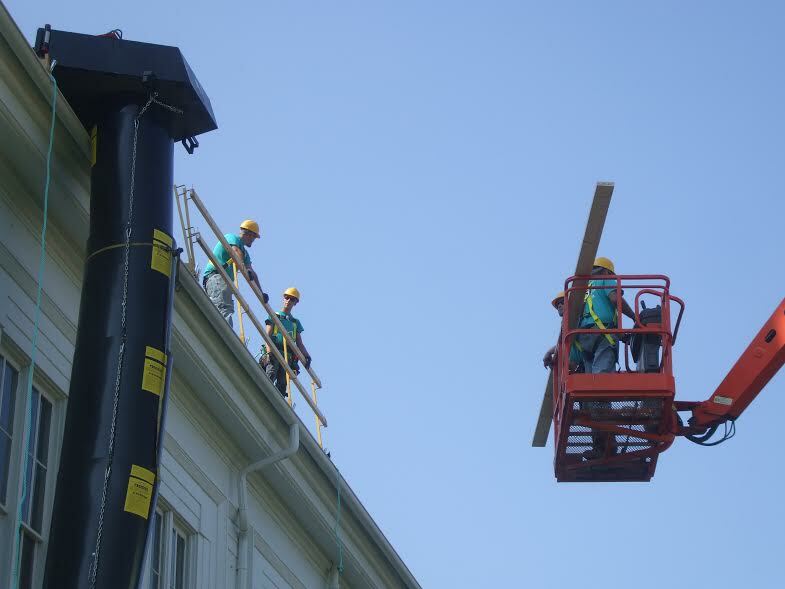 Most leaks occur where roofs meet sidewalls and around penetrations such as skylights, vent pipes and chimneys. Missing or broken shingles can be individually replaced, and loose shingle tabs can be re-adhered with an application of asphalt roofing cement. If your home needs roof repair: Don’t delay until after the winter or storm season. The cost of replacing a roof is only a fraction of the potential loss that could result to a home’s interior, furnishings and possessions.